July | 2015 | "Domipheus Labs"
The last part paved the way for getting this simple CPU self sustaining. This means that the test bench doesn’t feed instructions into the decoder, the CPU itself requests and fetches from a RAM somewhere. There is quite a bit of work to this in terms of the various ways of connecting up a RAM to the CPU and having a unit to manage the program counter and the fetching of the next one. The PC is just a register containing the location of the currently executing instruction. However, we need to operate on it, so will create a unit to manage this. Our PC unit will obviously hold the current PC, and on command increment it. It will have an input for setting the next PC value, and also the ability to stop – stay at the same location – which we need due to our pipeline being several cycles long. Set PC to our reset vector, which is 0x0000. We can use a 2-bit opcode input to select one of these operations. Our PC unit then looks like this functional unit. We get back into the Xilinx ISE project, adding out new pc_unit.vhd with the various input and output ports we need. The process triggered by the rising edge of the input clock will check the input I_nPCop port for an opcode on which to execute on the PC value. We use a case statement like previous examples in the series. We also have an internal signal to act as a register holding the current PC. This simple unit should allow us to reset the PC, increment during normal operation, branch to a new location when we need to, and also halt and spin on the same PC value. OPCODE_AND & "101" & '0' & "101" & "010" & "00"
We can then initialize the unit in our main test bench body. The PC unit should be added too. After the begin statement, we define the parts and map the ports to respective signals. We don’t use the ramWData or ramWE ports, so assign them to some default values. the ramAddr port should always be assigned to PC, and the instruction port we used to set manually we will assign from ramRData – the output from our ram. We put these assignments outside of a process – they are always true. The last input we need to figure out is the PC unit operation. What we need to do is tie this to the current control unit state – in that, we want it to increment at a given point, and we want the rest of the time to be in the NOP mode. This resets the PC unit when there is a control unit reset, increments on the ALU execute stage of the pipeline, and nops otherwise. As for the testbench itself, we no longer feed the instruction signal with our instructions, so we remove all that. We have a short reset, and then wait until our PC is 8 – as then we have overflowed memory, and our test is complete. The ‘CPU’ should be self sustaining, execute everything up until the PC equals 0x8, then go into an indefinite reset state. Getting back to the PC unit, the point in the pipeline when we increment is very important. We need to account for any latency, for all uses of the PC – as shown in the next two simulation captures. You can see when the increment happens at the writeback phase, we have an issue that the instructions are delayed and subsequently offset from each other. The problem here is that the increment needs to happen at the writeback, as the ALU in a branch instruction could issue an assign to PC – and in the first image (at yellow circles) you can see where we’d want to increment/set the ALU has not got it’s result ready. Previously we had a cloud of uncertainty around the fetch area of the instruction pipeline. We need to add it now, to account for any latencies in fetching the opcode for the decode stage. 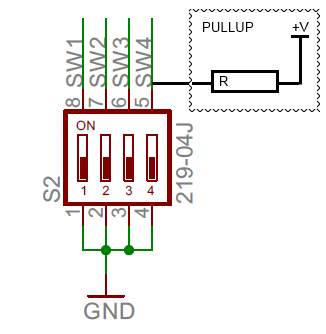 I’m adding it by extending our simple control unit, with two extra bits of state. The second bit will be for the memory stage of the pipeline which we’ll discuss later, but best to add it now. Simply extend the std_logic_vector, add the extra case statements, and extend the outputs where required. We ignore the last state switch – the memory stage. In the test bench source, we need to add an en_fetch and also change en_decode, en_regread, etc, to reflect new bit positions. They are just shifted up one. A) increment PC, on previous writeback cycle. 0x1 now on ram address bus. 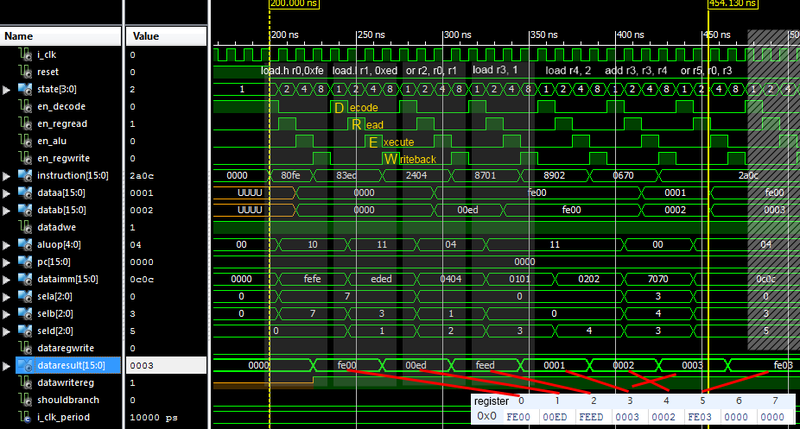 B) ram puts value at 0x1 on read output bus, appears at decoder instruction input in time for decode cycle. D) result from alu ready for writeback. We can see this extra fetch cycle of latency allows for the increment/PC operation to occur as late as possible, with the ALU result also available when this happens. We will change our last instruction in the RAM to jump back to our addition, to make an infinite loop. OPCODE_JUMP & "000" & '1' & X"05"
We also need to remove the ‘wait until PC = X”0008″;’ from the testbench. The test code effectively becomes just a reset and a wait. We must also now set the PC input to the PC unit to our ALU output, so we can assign the PC to new values. And that will then produce this rather fun simulation – self sustaining, with branching! I thought it would be useful to go and zoom into the branch on that simulation, and step through the transitions. At (A), the ALU has decided we should branch. As we are in the writeback phase of the pipeline, pcop becomes assign instead of increment at (B), putting dataresult on in_pc. the assign happens, and the next cycle, now in fetch (C), we have the new instruction being decoded from our branch target. To show issues that can occur without correct timing, we have a simulation without the fetch stage and PC operation at the ALU stage. The branch happens, eventually, but the CPU executes an additional instruction first. Some architectures actually do this, and you need to fill out the instruction stream after branches with nops or other useful operations. Look up Delay Slots if you are interested in learning more. For the TPU design, I didn’t want this. This is code for a simple multiply, with the operands in r1 and r2, the result going in r0. It simulates, and it works. You can see the branch structure from the simulation quite easily, and the result is valid. There are a few ISA issues apparent when we start drawing up ‘more complex’ TPU assembly examples. Having some sort of simple add/sub immediate and a conditional jump to relative offset would reduce our instruction count. But, we can always revisit and change our ISA – one of the benefits of rolling your own cpu! So, we managed to get TPU self-sustaining – that is, it chooses which instructions to consume, and does so indefinitely. The test bench essentially becomes a wait, as the CPU decides what to do based on the instruction stream – It’s a real CPU! To do this, we had to add our fetch stage to the pipeline, and also investigate issues with when changes to the PC occurred. We added our PC unit to track this, and it’s fairly simple but allows for normal sequential execution and branching. An issue with our CPU is that it’s still relatively limited by number of registers, and the fact we cannot get any real input other than instructions. To get more, we need to give the CPU access to manipulate memory. And with that, possibly memory-mapped peripherals. So we’ll look into that next. This is a disclaimer that the VHDL here is probably not the best you will see, but it gets the job done – in the simulator, at least. If you spot any serious errors, or woeful performance gotchas I’ve fallen for – please let me know at @domipheus. The aim of these posts is to get a very simple 16-bit CPU up and running, and then get stuck into some optimization opportunities later. We now have our decoder, ALU, and registers. We can now create a test bench to simulate what happens when we connect those together in a fixed, controllable way. The testbench source is on github, so I won’t go too much into creating the boilerplate. 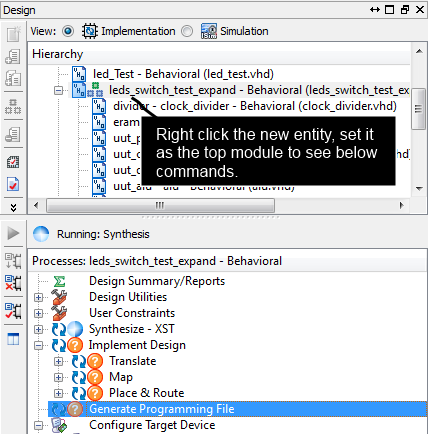 Create an ALU test bench, and then manually add the decoder, register file, and associated signals to the file. With our ALU, decoder and regs entities available, we can connect them together with signals like so. If we include the tpu_constants file, we can use the opcode definitions to write the instruction signal before waiting a cycle. We also need to remember to enable the units using the enable ‘en’ signal, which is connected to all units. -- hold reset state for 100 ns. When simulating this, you get the wrong result. It’s fairly understandable why – we’ve designed these units to be part of a pipeline – and we’re only giving a single cycle of latency for a result at the end of it, when we need at least two cycles. If we edit our test to add two cycles of latency, we get a much better result. Looking at the memory view, for our uut_reg object, we can see r0, r1 and r2 have the correct data. Success! But what about the following example? You will see one item of interest here. The add instruction uses the same register as a source and destination. We tested the register file before, as we know reading from/writing to the same register is technically fine. But what when it’s part of a bigger system? It doesn’t go so well. I’ve annotated the simulation timeline with the instructions and two points of interest. Point A is the result of the add – it’s delayed by a cycle. This offsets the result for any potential next instruction – which you can see at point B. If we add the above instruction to the mix we can see how serious of an issue this can be. The correct write into r3 doesn’t happen in time for the OR operation, so the result in r5 will be incorrect. And we can see this by looking at the uut_reg unit in memory view. We can see that with the units designed as they are, 3 cycles will be needed for safe decode – execute – writeback. Adding a third wait for I_clk_period; after the add instruction, which allows time for the writeback into the register, allows for correct operation. What we need for all of this, isn’t to add cycles of latency like above, but to add a unit responsible for telling other units what to do, and when. To figure out what we want, we’re going to need to lay out what we think our pipeline looks like, and what else we need. I’m going all out simple here, giving an independent cycle for every part of the pipeline. We don’t execute the next instruction until the current one has traversed every stage. We still don’t know whats happening in the fetch and memory stages, but fairly certain of the others. 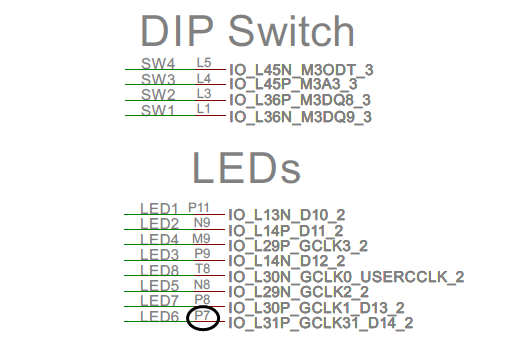 We add a read stage to be sure our data is ready for the ALU when needed – we can always remove states later when we optimize the completed design. Since all of the units we’ve created so far have enable ports, we can get a control unit to synchronize everything up and drive those enable bits. The control unit will have one output, a bitmask showing the pipeline state currently active, as well as a reset and clock input. Each clock cycle the state will increment by one bit, and if reset is high it will reset to initial state. The control unit is technically a state machine, but for now it’s simple enough we can just classify it as a counter. You can do this with integers or other types, I’m just a fan of raw bit vectors. The register file is a bit different in terms of the enable bit hookup, as to accommodate two states in the pipeline. The enable bit is tied to both read and write states, but we ensure writes only happen at the correct stage by using it in the write enable input. Running this in the simulator, we get a nice output waveform. All instructions executed correctly, and ran perfectly in sync. The registers at the end of the simulation are listed in the image above, with a red line linking it to when that particular register was written. I’ve annotated the pipeline stages too. You can see that the next instruction gets assigned to the decoder input in the writeback stage, so there is a little bit of overlap in the pipeline, but that’s to be expected. It’s not real concurrent operation within the pipeline, it’s just ensuring the data is available when it’s needed. Hopefully this has shown the importance of the control unit, and how it conducts the process of execution in this CPU. It has many more functions to manage – especially when we start implementing memory operations, and dealing with that shouldBranch ALU output – more on that later! This is a little disclaimer that the VHDL here is probably not the best you will see, but it gets the job done – in the simulator, at least. If you spot any serious errors, or woeful performance gotchas I’ve fallen for – please let me know at @domipheus. The ALU is the next component to implement. 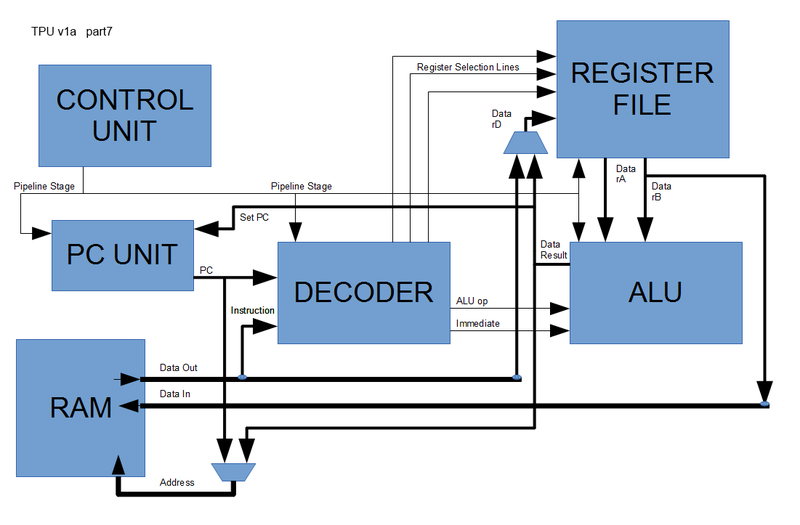 It should take the opcode given by the decoder, along with input data read from the register file, and output a result that can then be written to the register file. In TPU, we are only doing single cycle operations. Whilst a whole instruction will take multiple cycles to complete, the ALU itself will output a result in a single clock cycle. The other cycles are due to decoding, fetching and any writebacks of results which are required. Because of this fact, you can implement an ALU very simply by performing every operation possible and then select and output only the result we require, given the ‘aluop’ forwarded by the decoder. Another way (the way I have done) is to have a case statement and assign to an internal register the operation of choice, before then writing the contents of that register to the output ports. Underneath I think they would be implemented similarly, with a great many multiplexers. 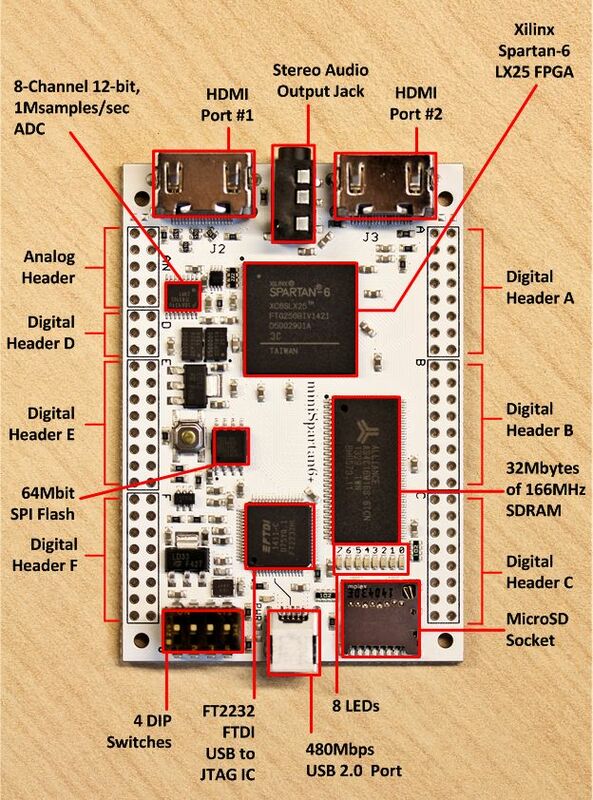 A result isn’t the only thing the ALU should provide. Some of the operations implemented in TPU are branch/jump instructions, some conditional. So, we also need a signal stating whether or not we should take a branch. We also have our own copy of the register file write enable bit – so we can stop the result being written based on a condition. Our ALU process which runs on a rising clock edge, when I_en is active, will immediately enter a case statement dependent on the alu operation forwarded from the decoder. Each when block within the case statement will write to elements of an internal register s_result, which is 18 bits wide, to accommodate carry/overflow status. There is also an internal signal for the shouldBranch output. The following output is the ALU behavior, minus all operations except add. -- The internal register for results of operations. The Add operation is the first opcode. It has signed and unsigned variants, dependent on the instruction flag which is bit 0 of the aluop input. 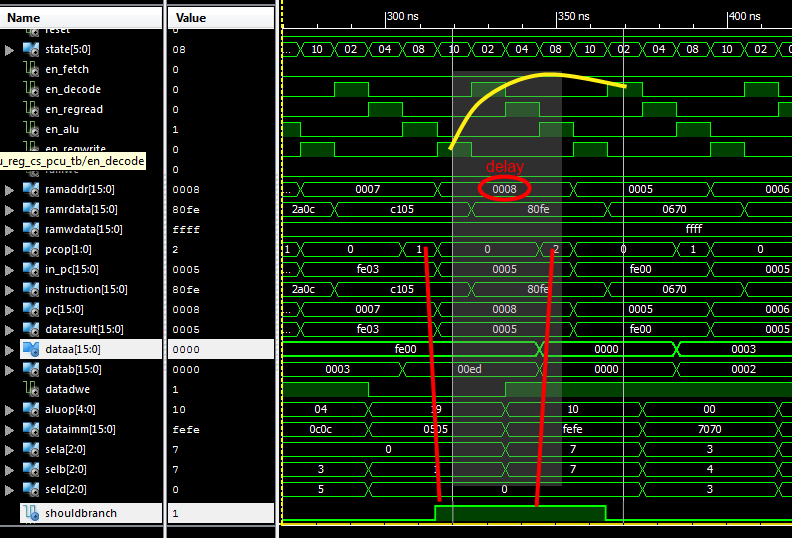 If the flag is 0, the register values are resized to 17-bit, cast to integer data and an addition performed. If the flag bit is set to indicate signed operands, sign-extension needs to be performed instead of a resize – meaning we concatenate the last bit of the register data to become the 17th bit of our operand. The Addition is performed, and result written back to 17 bits of s_result. this provides data needed for a carry bit in unsigned mode and an overflow bit in signed mode, but we do not use them yet (and overflow needs some more logic). The last thing which is done is that we set the shouldBranch signal to ‘0’, as we should not branch at this time. The other bits are zero’d out to form our 16-bit result. Most typical, older 16bit CPUs tend to set status bits in the ALU when certian events occur. On Z80 the status bits change when a large defined set of operations are executed, others have an explicit compare instruction which sets some status bits. Those bits can then be queried via special instructions which read direct from the internal status register. TPU does things a bit differently in that it has very little internal status, and writes the results of compares to a register via an explicit instruction. The register contains a series of bits which indicate the result of a boolean operation. The instruction (from the ISA document) is as follows: The compare instruction in TPU is of form RRR, taking a destination register and two sources. The flag bit is to do either signed or unsigned comparisons. 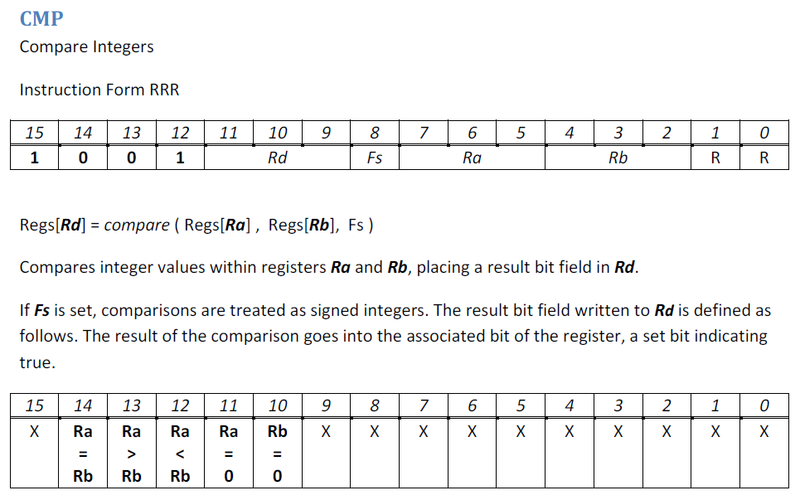 The instruction calculates rA == rB, rA > rB, rA < rB, rA == 0 and rB ==0 and writes the rersult into specific bit locations of the output register rD. We don’t care for the other bits, so they should be zero’d. There isn’t much reason for why it’s set up like this, apart from that I wanted to do multiple conditions at once, and get a bitmask out to do further logic on the result if need be. With so few registers, there is a fair argument that this could be a stupid path to take. 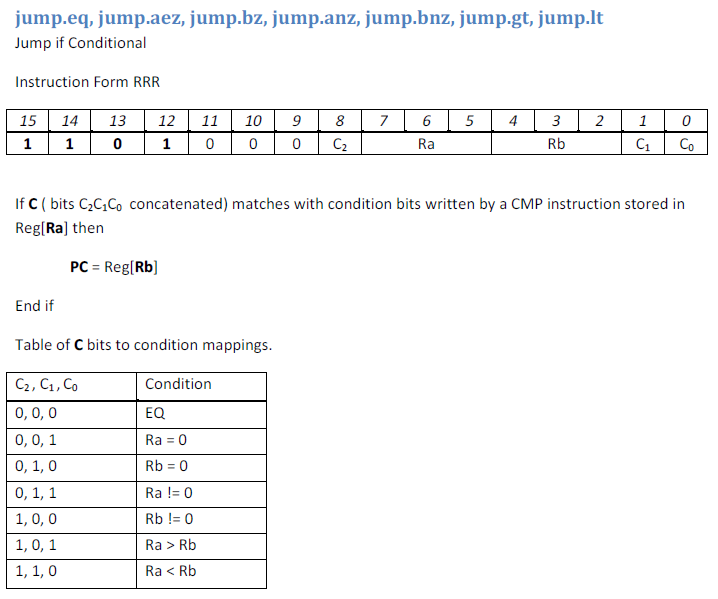 The CMP instruction has some extra constants we need to define – the bit locations for the output of those comparisons. With output bit locations defined per the ISA, we can start writing into the intermediate s_result. These operations don’t care whether the comparisons are signed or not, so we can just do them and write out the correct bit. I tried doing a conditional move here, instead of the big chunk of annoying if/else/assign1or0 logic but it seems that’s only in a newer version of VHDL. So I’ll just keep it at this for now. The final two comparisons are the greater/less than, which do depend on sign. So we check the flag bit for signed mode before writing out the results of the comparison. Finally, we zero out the remaining, unused bits – and set our shouldbranch output to 0. Shifts are cumbersome. Currently, I’ve only defined logical, unsigned shifts – by a value stored in a register. That will need to change, but there are enough flag bits for that to work. Originally I used a fixed-length loop with an early out, which was synthesizable, but upon testing the result just never seemed correct. So now, I’m left with the following, which seems horrendous but works. Euugh. It passes the tests. Ship it. Branching, Jumping, Changing the program counter. It’s something that needs to happen at some point. We have a few instructions available for this. A jump to an 8-bit immediate value, and a jump to a 16-bit register value. Those are pretty simple, and set the s_shouldBranch flag to ‘1’, and fill out the s_result with our branch target. Conditional jumps are the same, really – but the s_shouldBranch flag is dependant on some condition. Looking at the ISA we can see the various conditions available. The C bits are quite a mess here, grouped from the signed flag and the two unused bits at the end of the instruction. I’ll probably change this, allowing for the rD selection bits to be forwarded on to the ALU in some way, possibly as a second ‘function flag’ immediate, to allow their use. That would enable some variant of jump conditionally to relative offset instructions – which are going to be needed when working in nested loops. Without relative immediate conditional jumps, there will be severe pressure on the registers, leaving very few available for actual computation. Implementation wise, this function is pretty simple – it sets the shouldBranch output to the correct bit in the CMP input. That’s all the ALU needs to do, the actual branching logic happens elsewhere, and we’ll talk about that another time. Testing the ALU is easy, but there are so many combinations of input to output that getting good coverage would take a considerable amount of time. Testing the ALU in isolation is easy – simply set the various inputs and expect the correct output, making sure it takes only a single clock cycle. Above we have tests for unsigned addition, subtraction, and compare. We can simulate this, and view the data output to verify operation. A larger test is on the github repo, but again, coverage isn’t great. It’s enough to progress, we can validate later (*cough*). And there we have it, a simple ALU. I’ve finally got the TPU repo up on github, it’s fairly sparse just now, as the ISE project isn’t included. Only the sources which have been previously mentioned are there. The ISA is also there, although obviously incomplete. Thanks for reading, comments as always to @domipheus, and the next part should be finally starting to look into how these various units work together.